Sun Peaks Resort, BC, Canada. Pictures will be posted later. See the information under Mount Tod. See the information under Mount Tod. 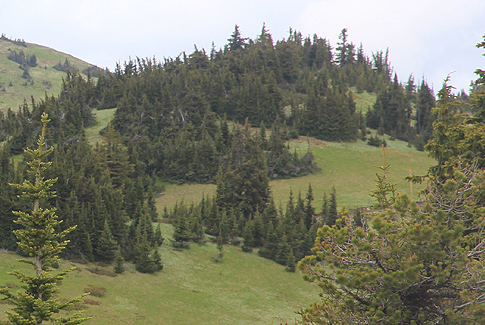 After the Top of the World summit (top of a ski lift, but not an independent summit), proceed to climb the next hump (between the trails), cross a very minor saddle and climb the next summit. From here, one can descend directly to small valley that separates this peak from Mount Tod. I climbed this peak with my wife Heidi. 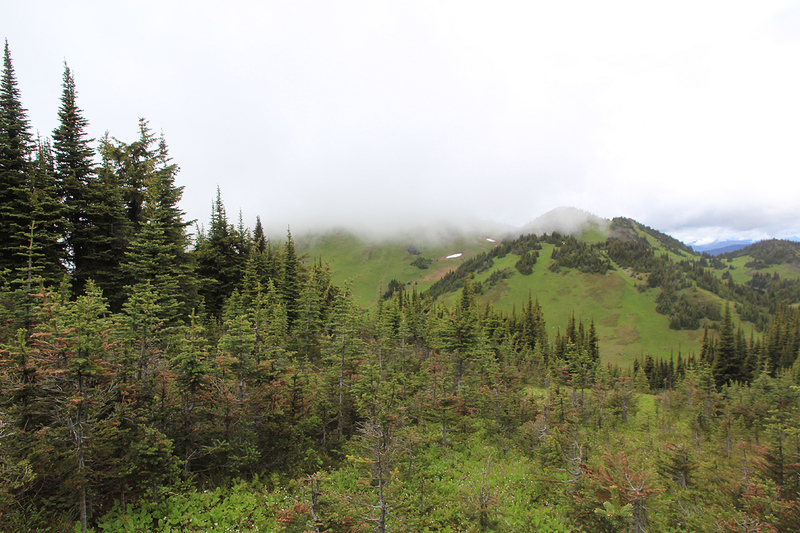 We were off-route on our way to Mount Tod, thus I decided to climb across this hump. It turned out that the next valley was more than 100 meter down, thus this qualifies as a separate peak. 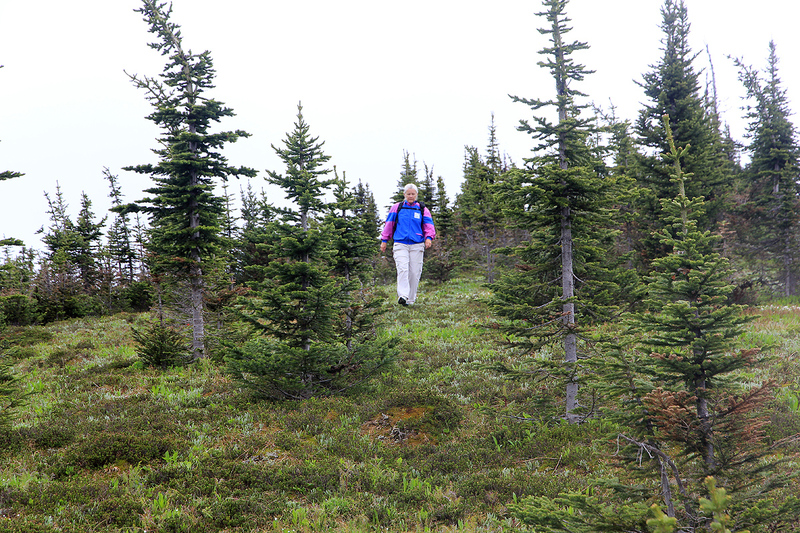 We descended through a clearing in the forest and subsequently resumed our climb of Mount Tod. Heidi descending from the summit on her way to Mount Tod.